Combining power, performance, and an array of exciting driver assist features, the new 2017 Acura MDX is lighting up the roads all across New York. Not only can you look forward to high rates of horsepower, solid efficiency levels, epic towing capabilities, and the Acura-exclusive Super Handling All-Wheel Drive (SH-AWD) system, the MDX technology features include driver assist amenities like Hill Start Assist and Remote Start. The 2017 Acura MDX performance specs make it ready for everything from day-to-day driving, like a trip to Gerry Park, to hitting the open road from the Long Island Expressway. Engine Power – Drivers can choose between two engines—a 3.5L V6 engine and a 3.0L V6 Hybrid—and will get different horsepower rates depending on the choice: the first engine provides a superb 290 hp, while the second provides 257 hp while remaining efficient. Efficiency Levels – Fuel economy has always been a hallmark of the MDX, and the base 2017 Acura MDX FWD earns up to 27 highway and 19 city mpg while the MDX Sport Hybrid redefines SUV efficiency with an EPA-estimated 27 highway and 26 city mpg. * Those are efficiency number that vehicles like the Audi Q7 have trouble competing with. Towing Power – At its upper end, the MDX promises to tow as much as 5,000 pounds—an impressive quantity, to be sure, and one which lets you rest assured that you’re going to be able to lug pretty much anything off to the campground or lake house this summer. SH-AWD – Ensure optimal performance and one of the smoothest drives around with the MDX’s SH-AWD system, which channels power to each of the wheels, thereby improving traction and increasing the control you have over the MDX’s impressive engine. Hill Start Assist and Remote Start – Two more driver assist features are worth a quick mention, too: the MDX’s Hill Start Assist makes starting on an incline or decline easy, holding your brake until you are ready to go. The MDX Remote Start System ensures the crossover is ready to go when you are with just the push of a button. When we talk about the 2017 Acura MDX performance, it’s just talk; we want you to be able to see it. 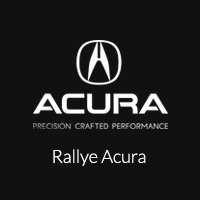 Drivers from Port Washington to Manhasset have been choosing Rallye Acura for their new luxury cars and crossovers, and we want to show you why. Contact our team today to schedule a test drive and see the MDX performance in action.